The preferred destination for the quality car wash with free vacuum North Carolina car owners love. As any car vehicle owner knows, nothing beats the feeling of driving a clean, fresh smelling car. Keeping the car clean is something all of us want and strive to maintain at all times. 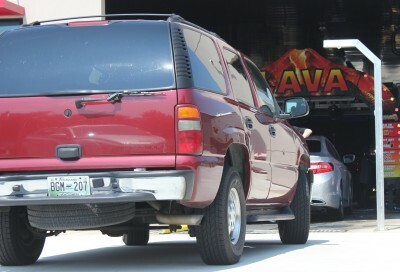 However, not everyone will always have the time or energy to clean their vehicles themselves. This is why it is important to know where to go for fast and thorough carwash services at very reasonable rates near you. If you are in Hickory, North Carolina and are looking for top-notch car wash services you can count on to deliver the quality results you want every time - you could not have come to a better place! Viewmont Car Wash is the area's premier destination for quality car wash, wax, and hand shine services that deliver the amazing results you are sure to love. Regardless of your car's age, there is absolutely no reason not to keep it clean and looking its best at all times. Here at Viewmont Car Wash, we believe that your car does not have to look old and dirty just because you are too busy or too tired to clean it yourself. This is why we make sure we deliver quality, eco-friendly car wash services in a timely manner. If you are in a hurry and have somewhere else to go but would like to make sure your car totally clean and fresh, try out our Express Car Wash which lasts just 3 minutes but also comes complete with free vacuum service.